As a company we also cover all maintenance and service breakdowns. Here are a few notes on why you might think of contacting us for these services. As a company we also cover all maintenance, service breakdowns as well as Gas recovery. Here are a few notes on why you might think of contacting us for these services. The phase out of R22 gas is nearly upon us at the end of the year (2014), which means any existing systems you have installed cannot be re-gassed with virgin R22. Why not plan ahead to ensure you are prepared for the phasing out of R22 in a controlled and cost effective manner. Now is the time to review your R22 refrigeration systems and we can advise on new environmentally friendly systems that will benefit you. We also recover all other refrigerant gases from any existing systems that you may need disposing of, or removing. Air conditioning is pretty much the same as running your car, it should always run trouble free as long as you have regular maintenance carried out on it each year, but like anything they can go wrong when you're least expecting it, or when you need to use It the most. 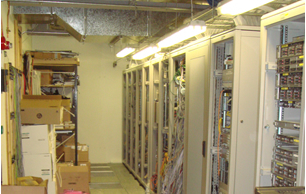 Most systems should be maintained twice a year, there are a few exceptions such as domestic systems that do not collect as much dust, and probably don't get exposed to as much use as commercial equipment, therefore once a year should be adequate. Our commitment doesn't end with the completion of a successful installation - it's just the beginning. We are able to maintain your equipment in order to keep it running perfectly, in doing so this helps it last much longer in its useful life. We run our maintenance contracts to suit the requirements of our clients. If you would prefer to have your equipment maintained on a one off basis to experience our service before committing to a contract, this is easily accommodated for, as we all know, no-one wants to commit to anything before making sure it is of the highest standard of service.